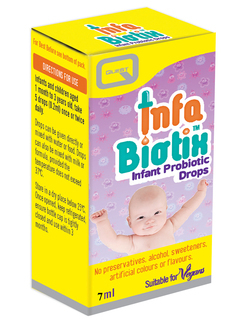 Quest InfaBiotix is a stable liquid probiotic supplement for infants and children, containing lactobacillus rhamnosus. Sunflower oil, lactobacillus rhamnosus culture, emulsifier: silicon dioxide. Take 5 drops (0.2ml) once or twice daily. Do not exceed the state dosage unless instructed by a qualified health professional. 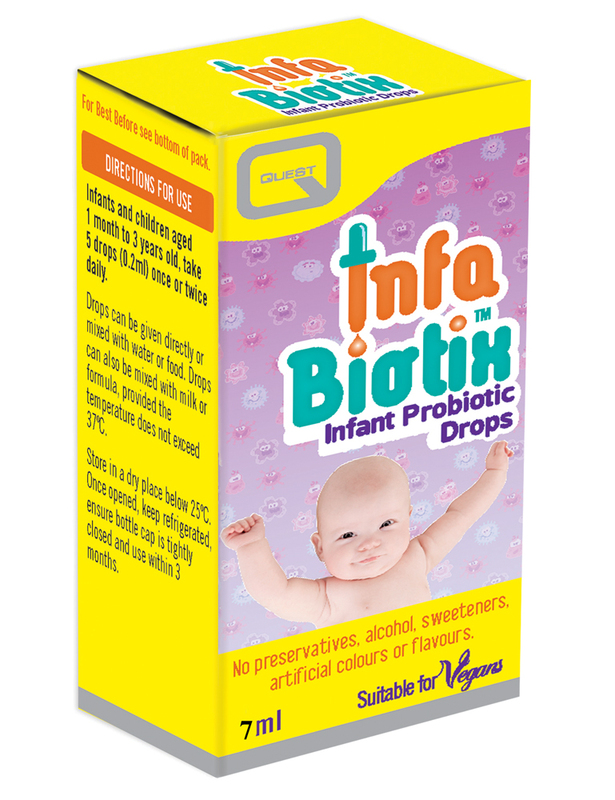 Contains no preservatives, no alcohol, no sweeteners, no artificial colours or flavours.